Dysthymia is a mental disorder similar to depression except that it is milder and lasts longer. Technically speaking, any person who faces mild depression for a period of 2 years or more can be checked for Dysthymia. For younger people and children, the period is reduced to one year only. Initially, depressive disorders of a stronger nature were classified differently than Dysthymia. However, recently, both Dysthymia and intense depressive orders have been group into a single heading of Persistent Depressive Disorder as there weren’t many distinct and substantial differences between the two. It is difficult to pinpoint the exact cause of Dysthymia. However, certain trends and patterns have been observed over the course of years which give us a rough idea regarding the same. The first cause can be genetics. It has been noted that members of Dysthymia families had almost fifty percent likelihood of being diagnosed with Dysthymia in its early stage. Besides genetics, Dysthymia can be triggered by tragic events like trauma or passing away of a near one. These events can weigh down on the person for months together and finally start showing themselves in the form of Dysthymia. Also, it has been seen that people with Dysthymia had remarkably different brain structures. So, it is believed that bodily changes over a period of time can bring about Dysthymia. Finally Dysthymia usually doesn’t occur alone. It is always accompanied by some or the other mental disorder like anxiety or personality disorder or substance abuse. In fact, there is a very strong correlation between the presence of Dysthymia and the presence of these disorders. For example, it has been shown that seventy five percent of Dysthymia cases are accompanied with Major Depression. 1. Other mental disorder: In case someone already has an anxiety or personality disorder, there is a significant chance of developing Dysthymia too. Hence, in case someone already has a mental disorder, it is advisable to keep caution. 2. Negativity: If the personality of an individual reflects negativity in general, he may be more vulnerable to Dysthymia as compared to a healthy minded individual. Negative people are often too pessimistic about the world, about themselves and about the future. 3. Tragic events: At times, tragic events like the death of close ones trigger mental issues. These may not immediately lead to Dysthymia. However, if these issues are not handled well, they may become fatal over a period of time. Not only this, if a person has gone through multiple disorders over the course of his or her life, there is a chance that he or she may end up with Dysthymia. Though these risks cannot be completely eliminated, they are best kept at a minimum. The symptoms of Dysthymia are many. They creep in very slowly and can easily be associated with a generally gloomy mood of the individual. Hence, care must be taken to try and detect them at their infancy. A person suffering from Dysthymia would more often be sorrowful and lethargic. He might not be keen on pursuing anything at all. He will have no hobbies and would like to spend the major part of his day doing nothing. Over a period of some time, these activities start to become part of his habit and it starts affecting his ability to accomplish tasks which were previously pretty simple. Appetite problems are also pretty common for Dysthymia patients. They either eat very less or eat way above their capacity. They start getting frustrated with life and with small issues. Mood swings become very common. In some cases, patients have difficulty focusing on tasks for a long period of time. These issues combined also make it very difficult for the person to find proper sleep for herself or himself. However, these issues cannot crop all at once. They start slow and progressively take over the person’s life. The best way to spot them is to check for multiple issues occurring in the person at once. Research, looking into the differences between Dysthymia infected people and healthy people, has shown that there are certain differences in brain structure between these two groups. In women, it was noted that the frontal lobe was not the same. Also, there were slight changes observed in the corpus callosum of the brain. Not only this, other studies have tried to compare neurological indicators between infected and healthy people too. There, too, evidence was found of variations between the two groups. The study found higher levels of action in the amygdala and insula of affected people. Both of these brain parts are associated with negativity. While amygdala is associated with pessimistic emotions, the insula is related with a gloomy predisposition. These studies might not point to large gigantic differences. However, they prove for sure that there are noticeable trends which consistently occur in people suffering from Dysthymia. These trends can be studied and used to spot Dysthymia in people even if they feel they are normal or they are unwilling to accept that they are suffering from Dysthymia. There are many issues with detecting Dysthymia. As it is mental disorders are difficult to spot, however Dysthymia is all the more elusive because it’s symptoms are very subtle and manifest themselves very quietly. Many a times it seems so natural that the sufferer himself gets used to it and starts believing it to be an integral part of his personality. He starts believing that he is made up that way and this sorrowful disposition is not going to change anytime soon. As such, he never consults a health practitioner as he doesn’t believe that anything is wrong in the first place. Even near and dear ones would struggle to pinpoint that the person is suffering from something like Dysthymia. This is because in the limited social surroundings that they see him, he can camouflage his disorder in some or the other way. If someone is together with that person for a long time and notices him keenly, only then is it possible to identify Dysthymia in its early stages. Finally, Dysthymia always seems to occur with some other mental disorder. Hence, its distinct symptoms and signs are often hidden and can be confused with some other disorder. This makes Dysthymia all the more strenuous to spot. Over time, methods have been developed to identify Dysthymia. These methods have been chosen with utmost care as Dysthymia can be easily confused with some other mental disorder. There are two things which are unique to a Dysthymia diagnosis. First of all, the patient must have the disorder for more than 2 years. Anything less than 2 years cannot qualify as Dysthymia. Secondly, there must not be a break of more than 2 consecutive months in the occurrence of the symptoms. Only if these two conditions are satisfied can the diagnosis further proceed. The diagnosis also checks if this is not the result of some other larger factor like substance abuse or some other psychological disorder. These points take special relevance for Dysthymia as this disorder has symptoms which are extremely common and can be found as a result of many other illnesses. Then, the patient is checked for appetite and sleep above or below normal levels. A Dysthymia patient may also experience lower self respect and a lethargic attitude towards life. A comprehensive diagnosis permits the practitioner to be completely sure about Dysthymia and he or she can then proceed confidently towards treating the patient. The primary effect of Dysthymia is mild depression. However, it is strange that whenever people are diagnosed with Dysthymia, they complain not about depression but about stress. The reason is that being gloomy is often considered a natural part of a person’s personality. Hence, mild depression is swept under the carpet. It is only when that mild depression takes the form of increased stress that people complain. Treatment of Dysthymia is usually divided into two parts comprising therapy and medication. Though they can be taken alone, taking them together has been shown to have much better benefits. Dysthymia treatment usually involves psychotherapy, that is, interaction with the health practitioner. Among therapies, cognitive behavior therapy (CBT) is very common. It involves training the patient’s mind to identify stressful thoughts and then replacing them with positive and cheerful ones. Over time, CBT has turned out to be a reliable method of treatment. Besides CBT, psychodynamic and interpersonal psychotherapy have also been considered for Dysthymia treatment. Psychodynamic psychotherapy involves diving into the unconscious mind of the patient and taking out facts which he might himself not know about. On the other hand, interpersonal psychotherapy involves curing broken or damaged relationships between two people. Advocates of interpersonal psychotherapy believe that relationships define the mental state of a person to a large extent and vice versa. These therapies have known to have positive effects on Dysthymia patients over the years. They can further be complemented by group psychotherapy sessions, self learning of the individual and formation of self help groups among Dysthymia sufferers. In this way, patients get a way to pour out feelings which till then they had kept bottled deep inside themselves. 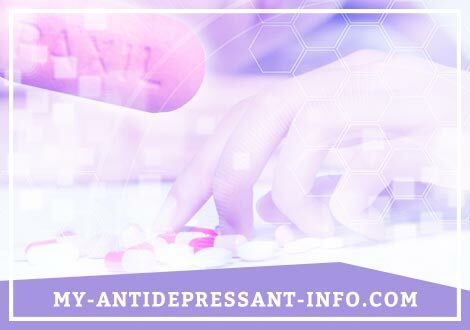 Medications are largely administered by way of antidepressants. These antidepressants help in cheering up a person and increase his energy levels. 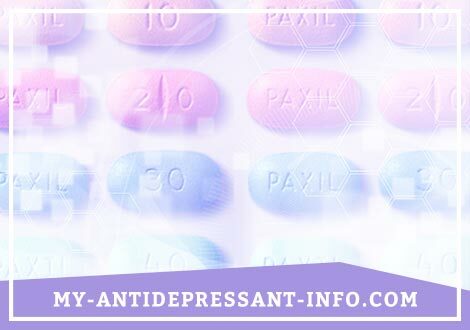 However, for Dysthymia, it has been suggested that the medication should start with only mild antidepressants. In case these do not work, only then should strong antidepressants with more lasting impacts be used. Also, in case of medications, not everything might work on everyone. Some medicines or combinations of medicines might work better for a person as compared to someone else. Hence, it makes complete sense to try varied medicines till the time one gets to the one which he or she finds perfect. Normally, medications take six to eight weeks to show their benefits to patients. However, quicker recovery is definitely possible if therapy and medicines are taken together. Together, they are a more potent force. Around 75% of patients in a study found the combination of CBT and medication beneficial. On the other hand, only 48% of patients who were administered either of the two observed beneficial effects. Global statistics with regard to Dysthymia prove that women are much more prone to it than men. In fact, 1.8% of all women faced Dysthymia as compared to just 1.3% of men. Overall, about 1.5% of the world’s population faces this disorder every year. These figures might, however, be under reported. In many developing countries, mental disorders are not given a lot of significance due to lesser income per capita. Also, many people deny the presence of mental disorders because they fear the stigma attached to it. This is supported by the fact that in the United States, 3% to 6% of the population can be expected to be affected by Dysthymia at least once in their life. The figures for developing countries might not be this high. Due to the increasing awareness of mental disorders in recent years, more and more people have come to know about Dysthymia. However, there is a long way to go. Firstly, there is still a need for increased awareness of the disorder. Then, most people, even though they know about it, would not be able to spot it due to its subtle symptoms. Hence, it is extremely important to create more efficient and effective frameworks which can help in early identification of Dysthymia.